(Click the image to view full size) With the help of someone that has been using ghost boxes for just over a year, building them & using them with other things, we (Spotted Ghosts and Talking to Spirits) have come up with our own Spirit Box. 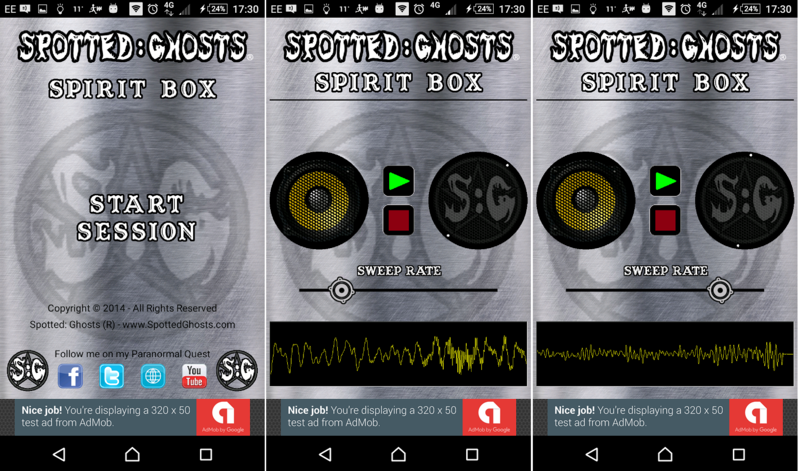 What we have in our app is effectively the most unique self contained spirit/ghost box app. The audio is taken from AM FM CB CW VHF UHF, Morse, various ghost box recordings & phonetic audio from single words in many different languages (Some even overlayed & echo'd) & a few other sources. This is probably the first of its kind. We know that many have wanted something like this for a while now.